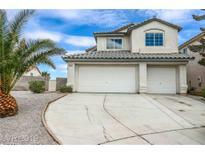 Below you can view all the homes for sale in the Highland Hills subdivision located in North Las Vegas Nevada. Listings in Highland Hills are updated daily from data we receive from the Las Vegas multiple listing service. To learn more about any of these homes or to receive custom notifications when a new property is listed for sale in Highland Hills, give us a call at 702-323-5963. Grand master suite w/ spa like retreat! Move-in ready!! ! MLS#2086610. Maxim Properties. Plus, security door, professional landscaping, solar screens, newer carpet MLS#2086231. Keller Williams Realty Las Vegas. Huge Oversized Lot Nearly 1/4 Ac ** New Paint, New Wood Laminate Floors, New Tile, New Carpet, New Baseboards ** Newly Updated Kitchen With Quartz Counters, White Cabinets, Stainless Steel Appliances, Tile Floors ** Spacious Living Room With Vaulted Ceilings * Fireplace In Family Room * Owner Suite W/Vaulted Ceiling & Dual Sinks, Sep Tub & Shower * 3-car Garage * Large Covered Patio * Must See! ! MLS#2086056. Platinum R.E. Professionals. As an owner you also get to enjoy the beautifully manicured expansive park. Come View ! MLS#2082906. BHHS Nevada Properties. Conveniently located near Aliante Pkwy, shopping, parks, schools & freeway access MLS#2080185. GK Properties. Single Story 3 Bedroom 2 Bath 2 Car Garage With Rv Gate & Stucco Walls Nestled On A Corner Lot With Separate Gated Fenced Sparkling Pool With Beach Entry*covered Patio W/Fans*spacious Floor Plan*good Sized Bedrooms* Huge Front Formal Living Room*separate Family Room With Fireplace And Slider To Covered Patio*decorative Planter & Solar Heated Beach Entry Pool*safety Features Include Separately Gated Pool & Quick Release Security Security Bars. MLS#2079601. Elite Realty. Great Family Home..with spacious rooms for entertaining and an office on main floor..Windows light each room..lots of cabinets, closets, and storage throughout the house..bedroom and full bath and laundry on main floor..family neighborhood with close park-like grass play area near and a large community park and easy access to shopping..large back yard ready for barbecuing.. MLS#2062796. Simply Vegas. Long Term Tenants in place, & lease in place for 1 Year presently. MLS#2056202. Crossover Realty.